The Center for Global Economy and Business presents a new book (March 2017) authored by more than a dozen faculty members from NYU Stern and the NYU School of Law (see press release). 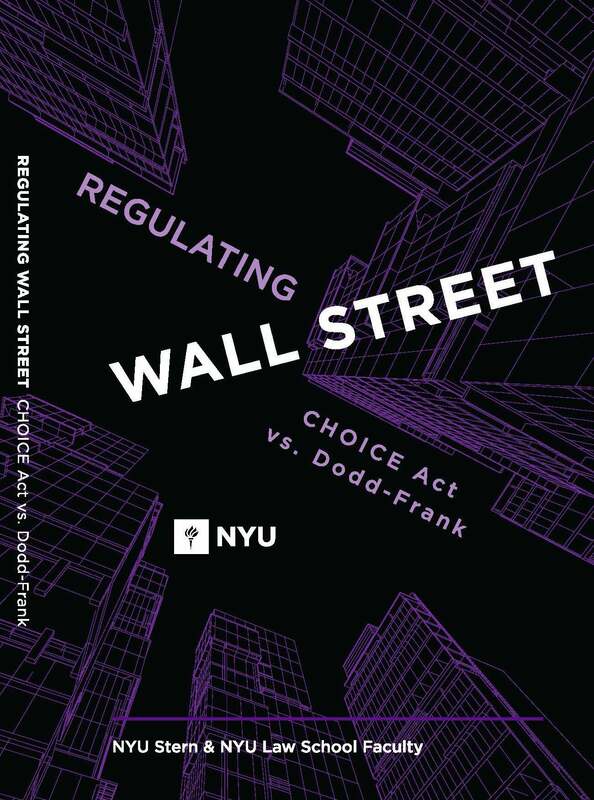 In their analysis, the authors address the prominent issues of financial regulation and examine the benefits and drawbacks of the Financial CHOICE Act—the prominent proposal to reform financial regulation—while comparing it to Dodd-Frank. What’s Not in the Financial CHOICE Act or Dodd-Frank? This work is licensed under the Creative Commons Attribution-ShareAlike 4.0 Attribution-NonCommercial license. Henry Kaufman & Company, Inc.